frame for reporting is much shorter. Employees are generally required to report the discrimination to the agency EEO counselor within 45 days of the discriminatory act. Additionally, many governmental agencies have internal grievance procedures that the employee must follow. Discriminatory, or even unfair, personnel decisions may also be appealed to the Merit System Protection Board through an online form called an “e-Appeal.” Handling a claim for Discrimination by a Government Employer can be quite complicated. Are you the Victim of Discrimination by a Government Employer? Discrimination is often not overt. For example, rarely will a government employer say that we are firing you because of your skin color; or we are firing you because you’re not a Christian. 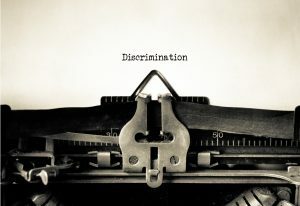 Discrimination is usually more subtle and pretexutal – meaning that typically employers will come up with different “reasons” for termination, like “poor work product.” Moreover, since employers try to disguise discrimination, the we look for circumstantial evidence of discrimination. For example, were you the only African American who was working for your employer at the time? Did a new boss come in? Is he caucasian? Did he start favoring all the other caucasians over you? Did he start hovering over your shoulder, just looking for a reason to terminate you? When he couldn’t find a reason, did he make one up and terminate you on the spot? The Fort Worth discrimination lawyers at Hutchison & Stoy, PLLC have seen all types of disguised discrimination by a government employer. If you feel you’re the victim of discrimination by a government employer, contact a Fort Worth Discrimination Lawyer at Hutchison & Stoy, PLLC today at (817) 820-0100 or fill out a free case evaluation online.